Many businesses are unsure how to effectively promote themselves on LinkedIn without resorting to paid advertising, spending too much time on LinkedIn, or outsourcing social media management. I meet a lot of business owners and marketers who fall into the do-it-yourselfer category, and here are seven of the top questions I get asked about using LinkedIn for business. 1. Is it possible for businesses to find prospective clients/customers on LinkedIn? If so, where should they begin their efforts to reach new prospects on the site? Yes, LinkedIn is one of the most underutilized tools for finding prospective clients. Too many businesses focus only on Facebook, Instagram and Twitter, when LinkedIn is the number one social channel, especially for B2B companies. Begin your LinkedIn efforts by running several LinkedIn searches, looking for prospects by job title, name, company or location. If you can afford a LinkedIn Premium account (or even better, a Sales Navigator account), you will get beefier search capabilities and the ability to organize prospects. After you identify prospects, you will want to reach out to them with a personalized connection request and a well-crafted follow-up message. 2. How can businesses use LinkedIn to find new partners? Strategically interact in the right LinkedIn groups and comment on others’ status updates. These two activities will raise your visibility on LinkedIn and allow you to come into contact with potential partners and establish your credibility as an industry leader. 3. What potential does LinkedIn hold as a B2B marketing tool? As a B2C marketing tool? LinkedIn is traditionally more B2B focused, as it is the one social channel that is purely professional. Many B2B companies use LinkedIn to run social selling, employee advocacy, lead generation and brand awareness programs. It’s useful for B2C companies, but you must ensure your audience is active on LinkedIn. Otherwise, you will fail to see a healthy return on your investment. 4. What are the elements of a strong B2B LinkedIn profile? A B2C profile? Use a strong headline addressing how you help a certain type of company do whatever you specialize in. Weave keywords throughout your profile, so people can search LinkedIn and find you. Be sure to create a good LinkedIn company page for your company and list it on your profile. Use every character within your LinkedIn summary, focusing on keywords. Only list positions, certifications, volunteer positions that are relevant to your current position/business. Here’s an article I’ve written specifically about optimizing your LinkedIn profile. 5. 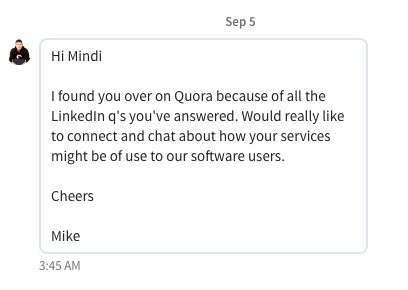 What’s the first step to building B2B connections on LinkedIn? Craft a personalized connection to send to your prospects, peers and partners. Use a template, but be sure to personalize it for every potential connection whom you don’t already know. You will then need to continue to nurture each of these relationships over the next several weeks, months and possibly years. You never know when a connection might lead you to your next opportunity. 6. What’s the secret to generating leads on LinkedIn? There is no secret. Generating qualified leads on LinkedIn is dependent on building and nurturing relationships with the right connections and LinkedIn group members. Without those ties, website traffic from LinkedIn will not generate leads. 7. How does LinkedIn stand out as a business marketing tool compared to other social media platforms? It’s head and shoulders above every other business marketing tool out there. If you want to reach professionals, this is the platform where they congregate and are ready to talk business. Facebook is too casual. Twitter is too noisy. Instagram is too fun. Have additional questions about using LinkedIn for business? Feel free to leave a comment below or tweet me @mindirrosser to get the conversation started. Mindi Rosser is a social media strategist for hire, who specializes in helping brands, businesses and people look great online. As a digital native, she has spent nearly a decade working with B2B and B2C companies on developing and implementing strategic marketing programs. 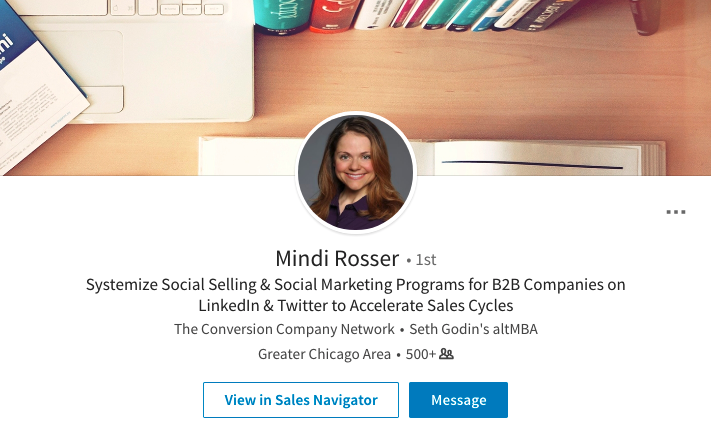 Connect with Mindi on LinkedIn or tweet her (@mindirrosser) to chat about all things LinkedIn. You can also follow her blog at http://www.mindirosser.com.